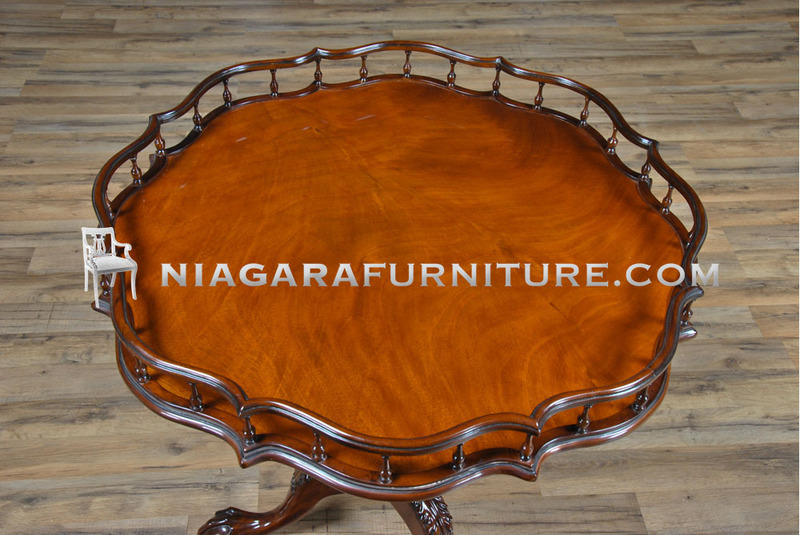 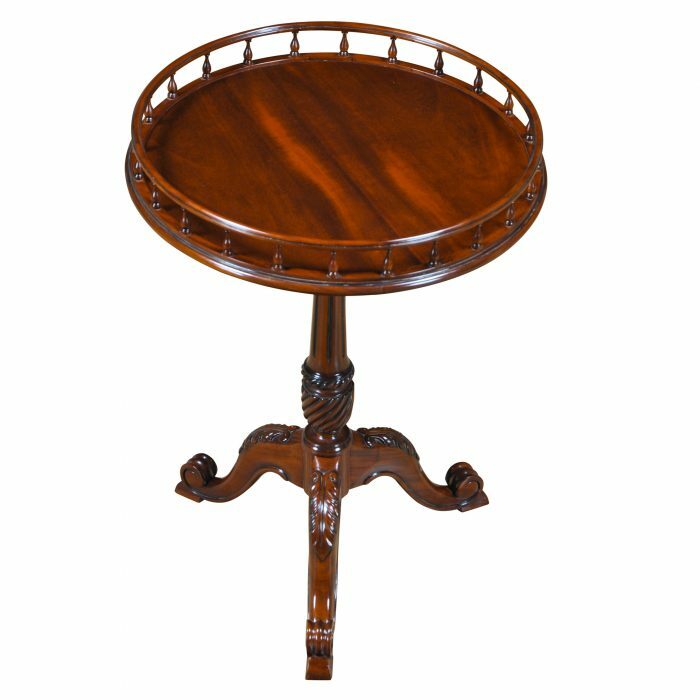 A fantastic round table which we refer to as the Chippendale Gallery Table. 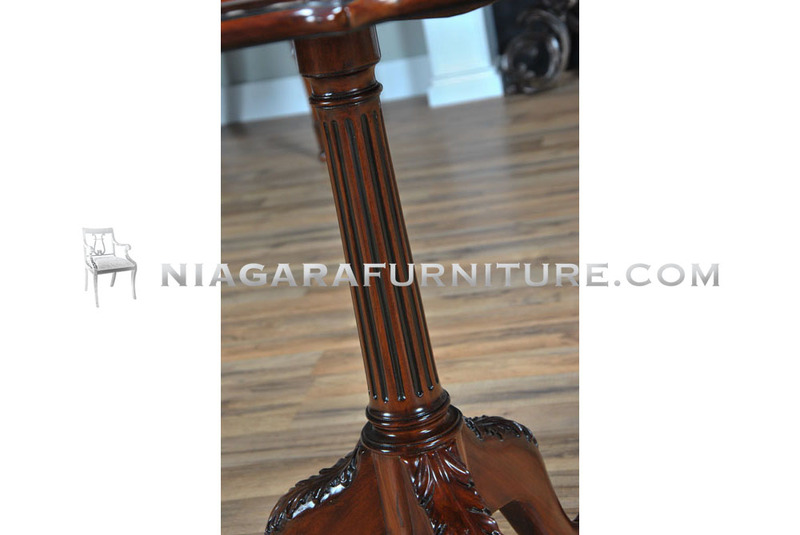 Hand turned, solid mahogany pillars support the gallery around the top of the item while a solid mahogany, hand carved and reeded column supports the top itself. 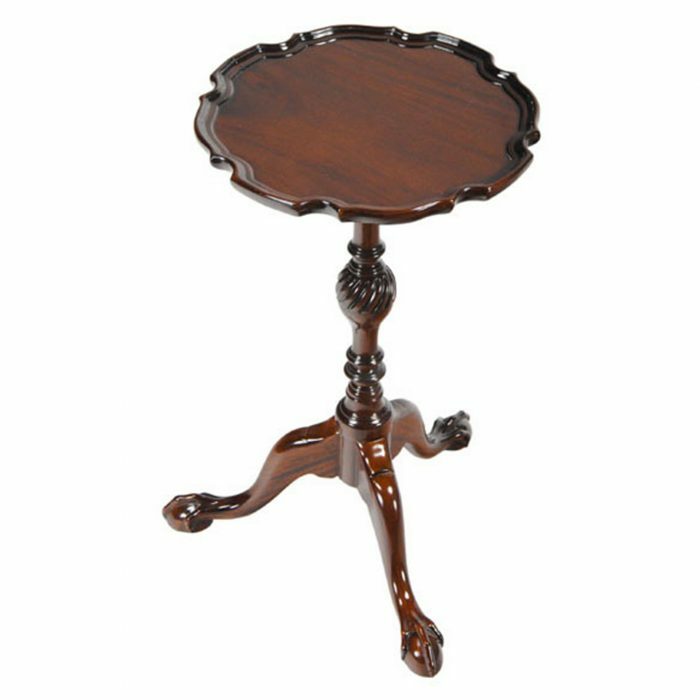 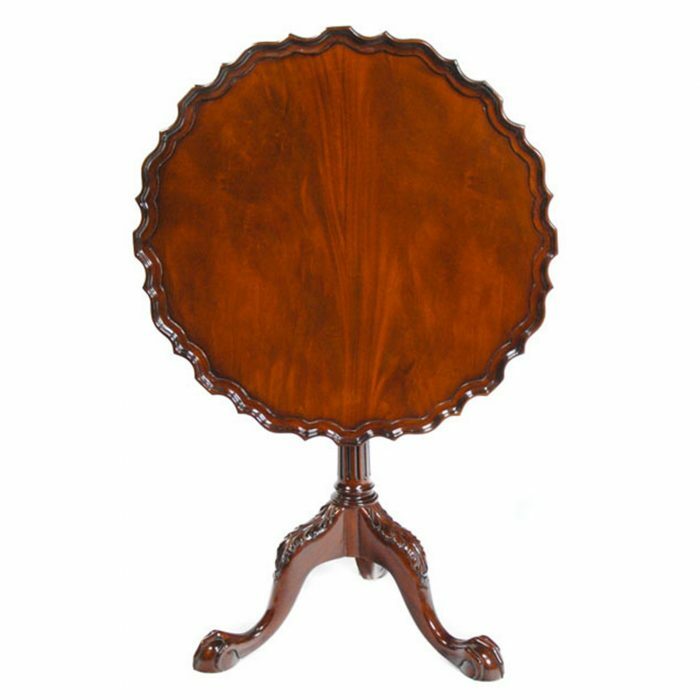 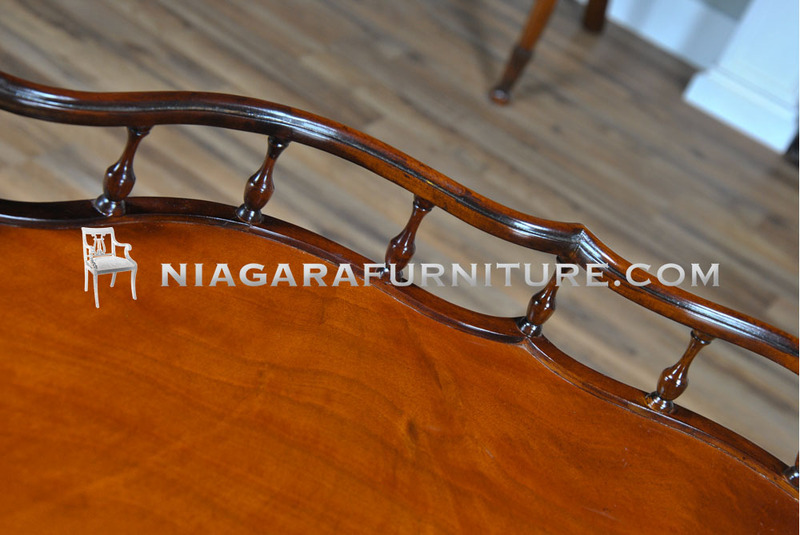 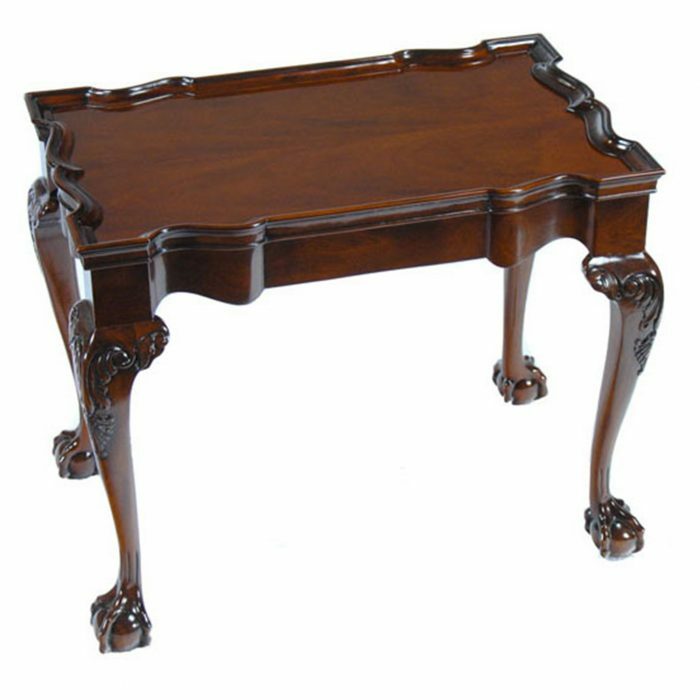 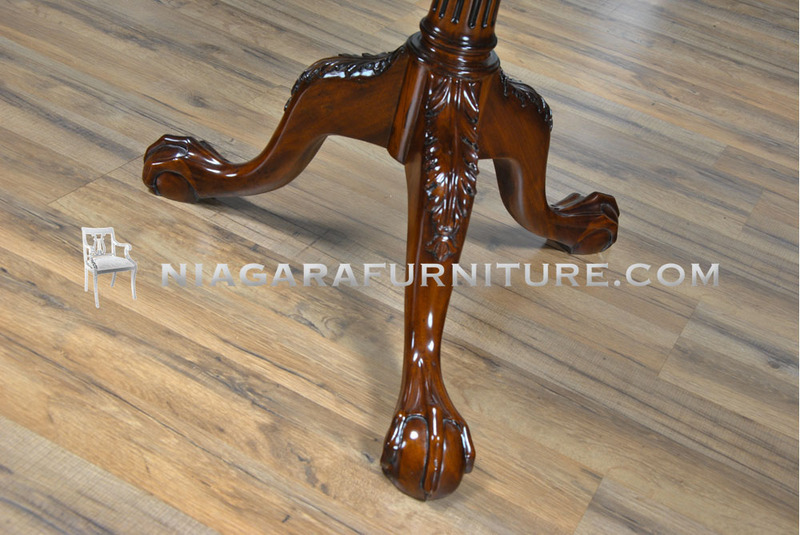 All of the above are supported by three lovely, curved and carved solid mahogany Chippendale style legs ending in the finest quality ball and claw feet. 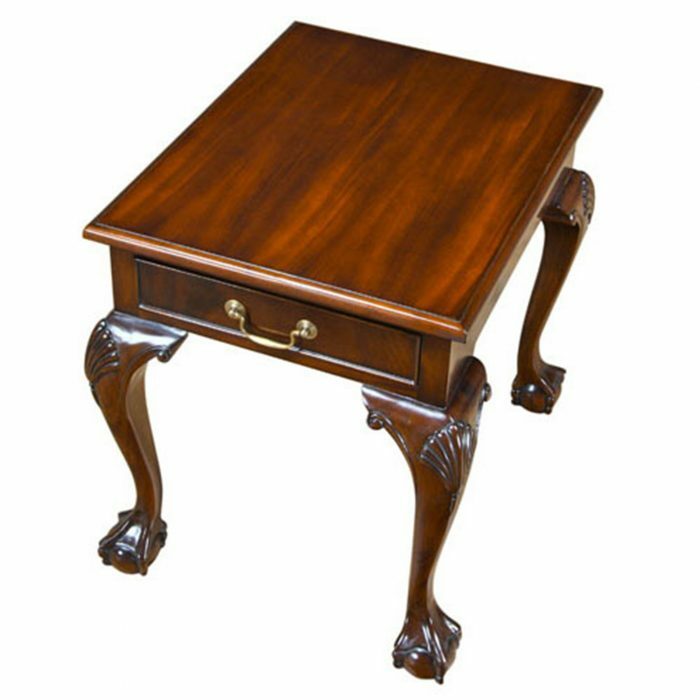 Ideal as an oversized end table the impressive Chippendale Gallery Table is also robust enough to stand on it’s own in a front entry way. 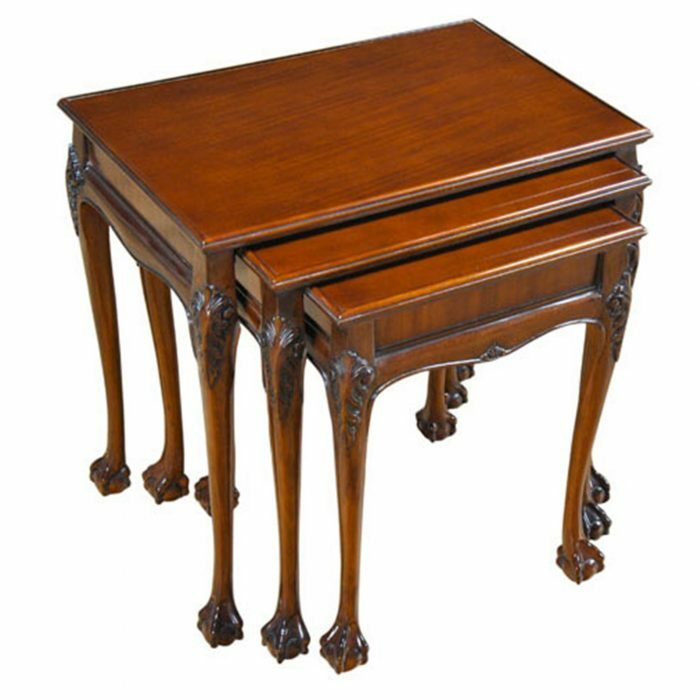 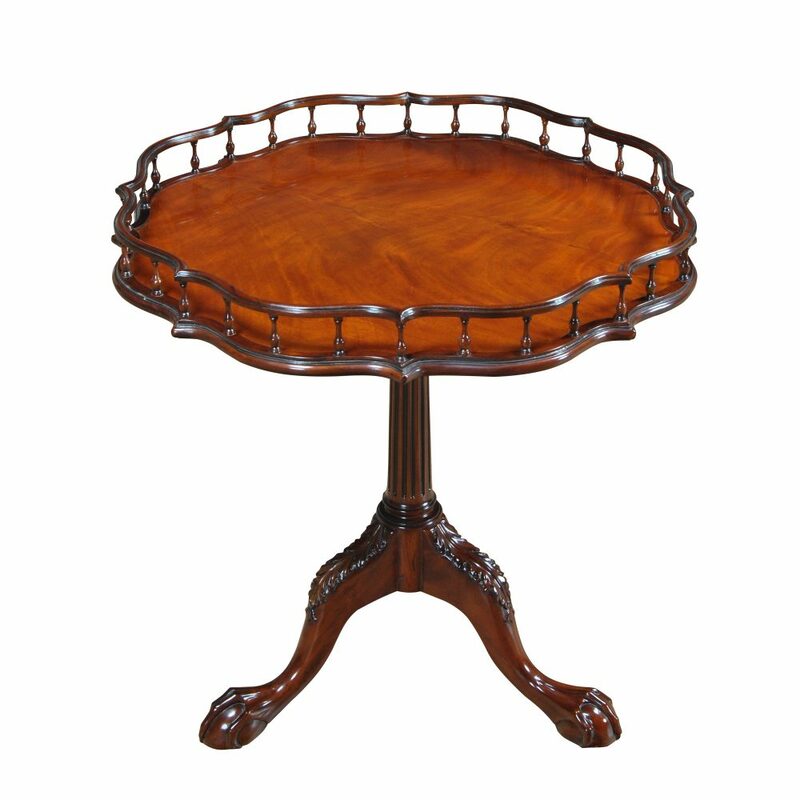 The table top is easily removable for ease of shipping and storage.